Don't quote me on it but I believe it will apply to all manual Cobalts. Remove the fuse box. If you are unfamiliar with how to remove the fuse box take a look at my thread on well... https://www.cobaltss.net/forums/how-...se-box-290069/. 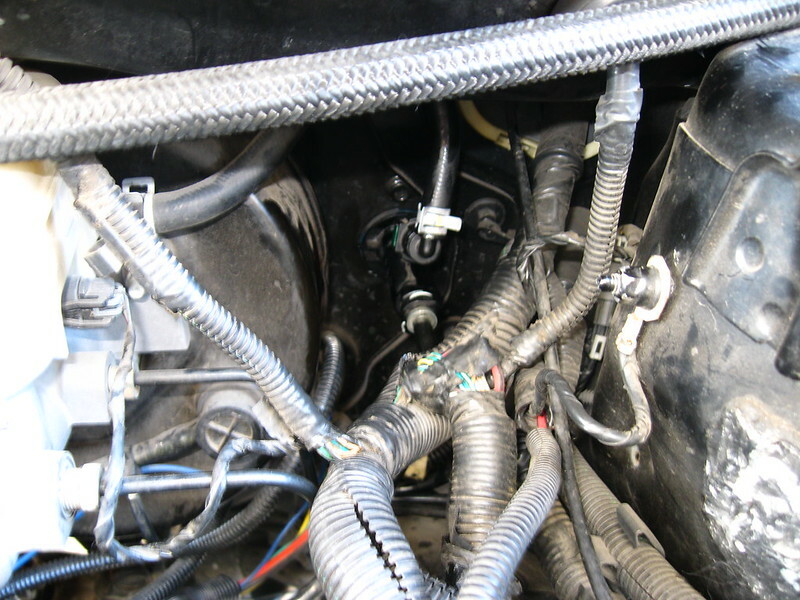 With fuse box out of the way, locate the clutch master cylinder. It's really not that hard. Remove the green upper clip. There are two pinches on either side to squeeze together. Squeeze and pull at the same time and it will come off. 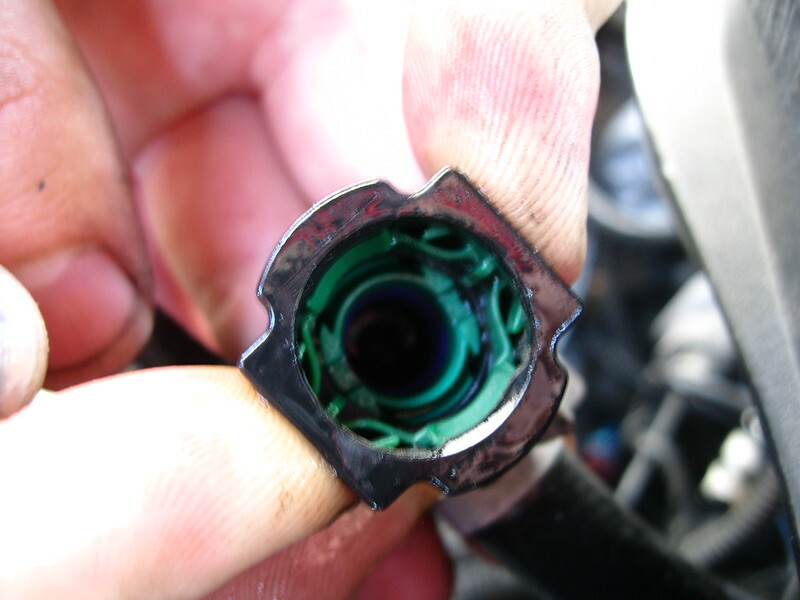 Brake fluid will come out, not flow but it will come out. So have a paper towel or something to catch it handy. After I pulled it off i just rested it by the upper strut mount. 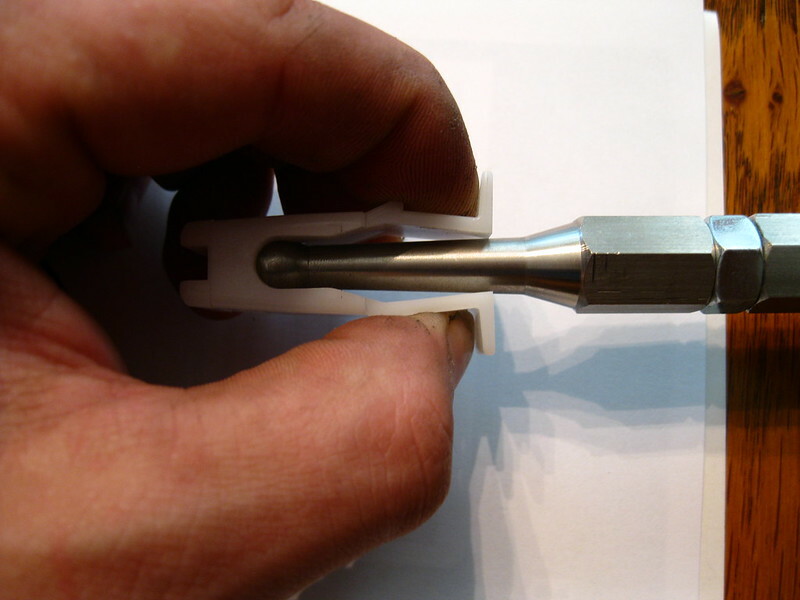 Release the lower line retaining clip. Pretty easy but it can fool you. 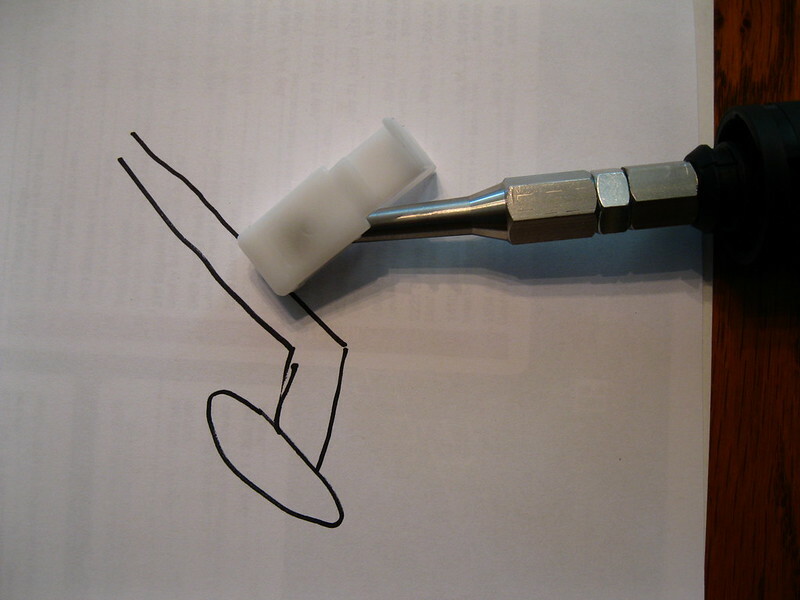 With the hooked pick simply pull upwards. It will move and that's where it'll fool you. It's not up all the way yet. Keep pulling, you won't pull it out, it'll lift and lock in to place in the up position. Fluid will also come out with this as well, but not much if you move fast. I just pulled it under the brake hard lines and then rested it up by the reservoir. 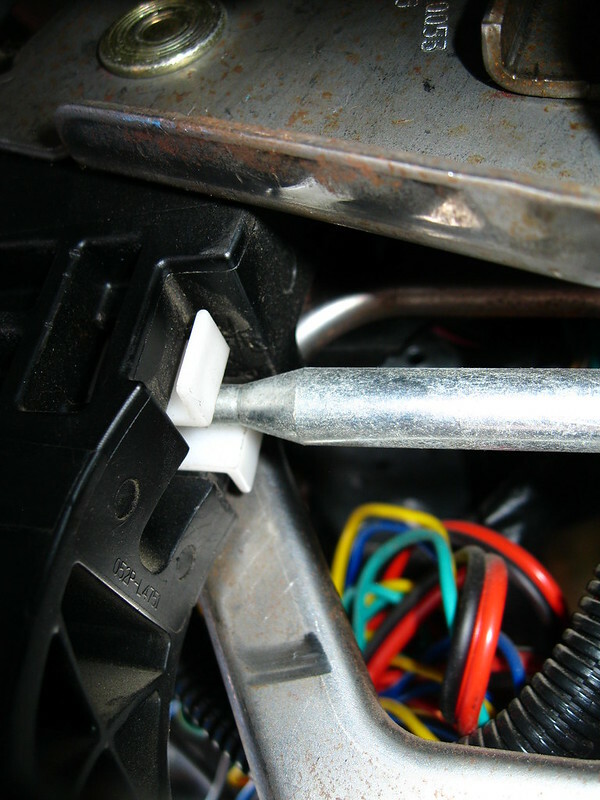 Next you need to locate and remove the white clip that holds the rod on to the clutch pedal. You can try and remove it like that.. But you aren't going to be able to. 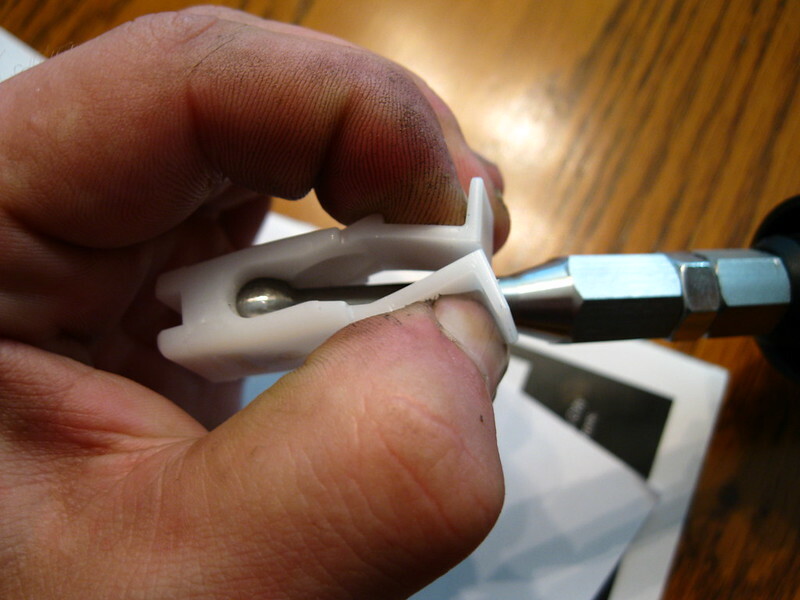 When the rod goes through the clip like in the picture above, you can't compress it all the way, like so. 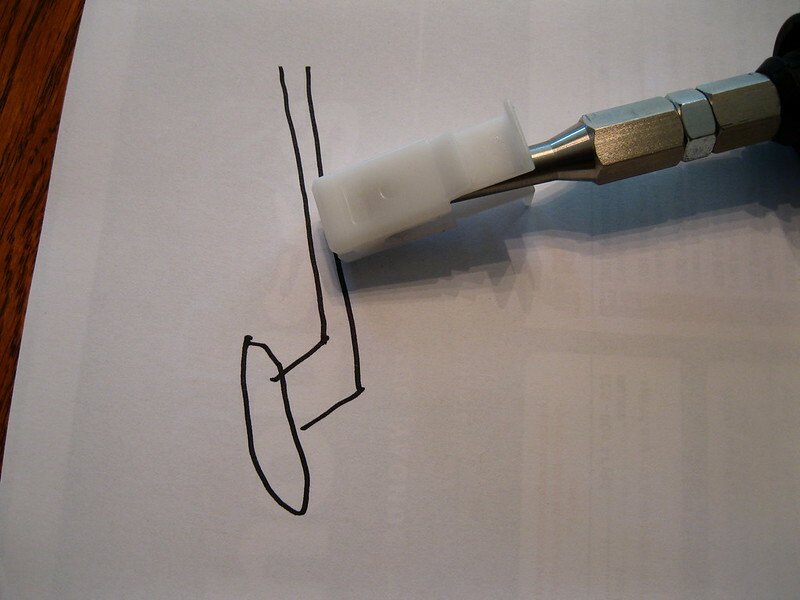 You need to move the clip to one side of the rod or the other, like so. And it will be able to compress all the way and pull out. To move the clip in to that position you need to get a little creative. 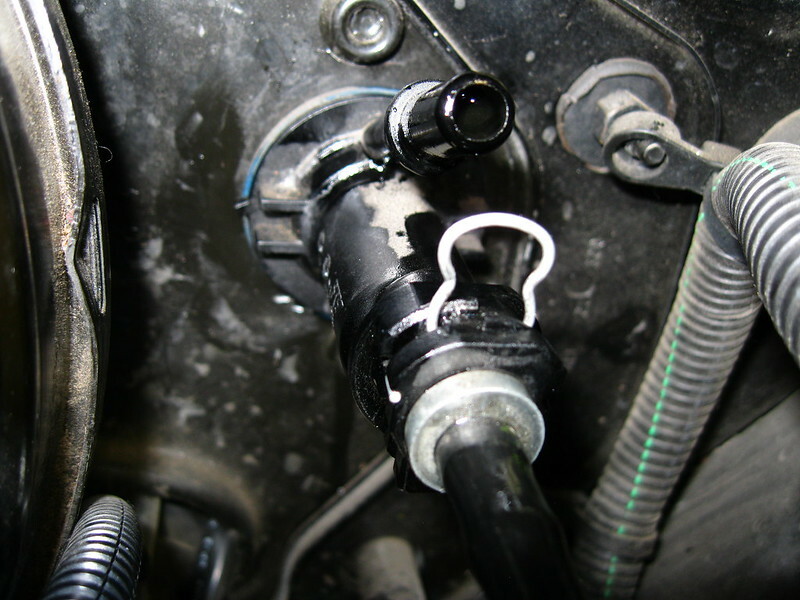 Rotate the master cylinder clockwise until it's able to be pulled away from the firewall, pull, then rotate it back so it doesn't slide back in to place. It will be resting outside the wall now but there is still tension from the clutch pedal trying to go back to it's regular position. 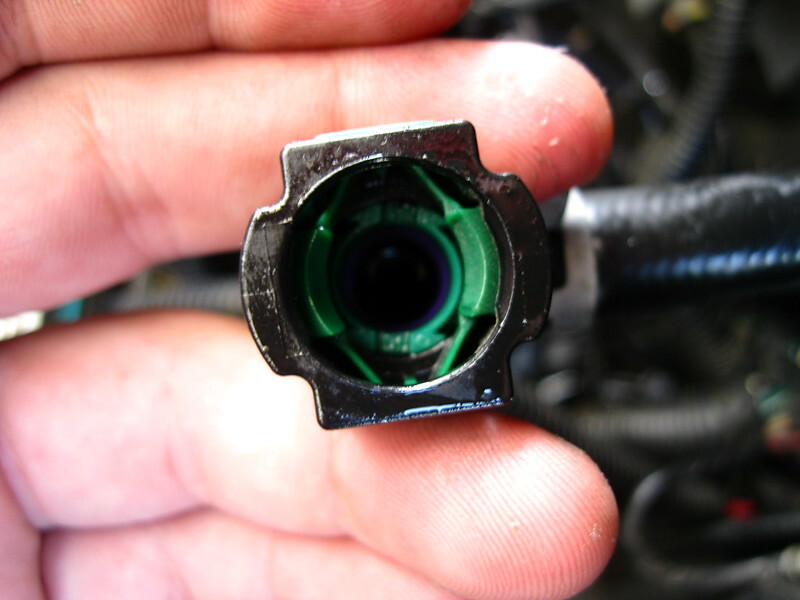 Master cylinder should look like this now. 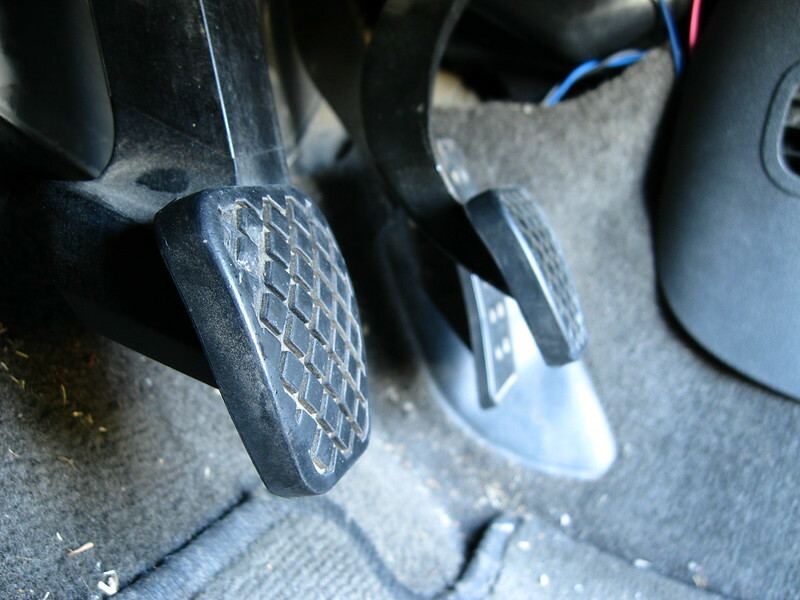 And if you've done it right the clutch pedal will look slightly depressed. The reason for this is as follows. Remember the clip/rod location effecting compressing the clip? 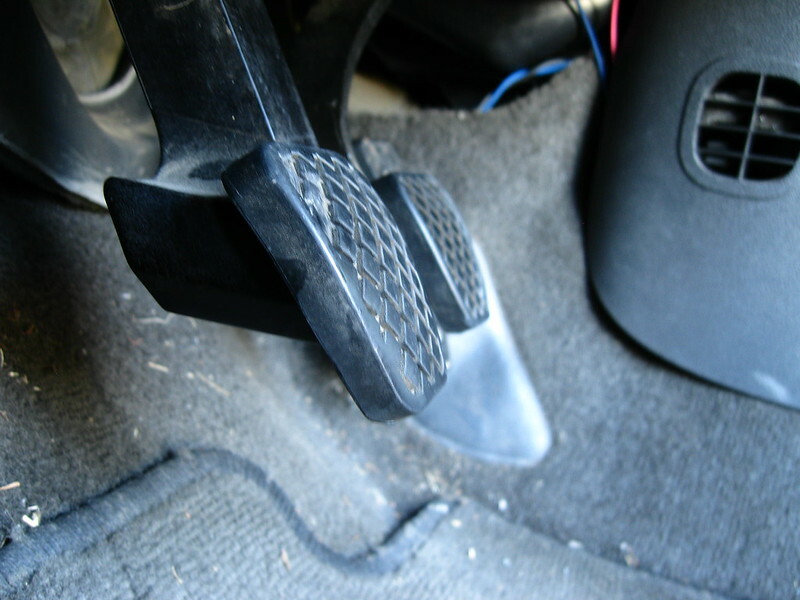 With the clutch pedal in the "up" normal position the rod is dead center of the clip and you can't compress it. 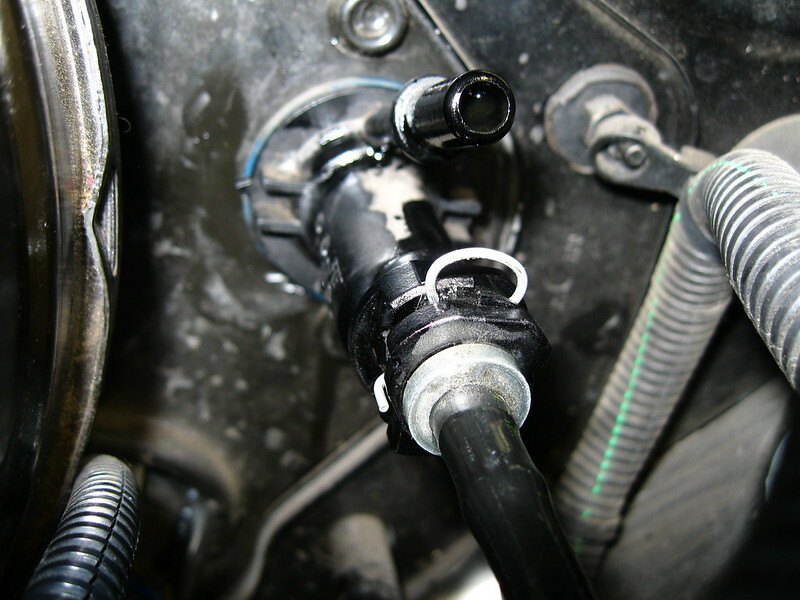 With the clutch pedal in the "down" depressed position it locates the rod outside the clip. Mind the crude and inaccurate drawing, it still gets the point across though lol. When the clutch pedal is depressed the clip is able to be removed. Contort yourself, literally, under the dash and steering wheel and pinch those clips with one hand, pull on the pedal with the other and the clip will come out. Then you can go back under the hood and pull out what you thought was the source of your problems only to realize it was the firewall tabs bending outwards. What are the symptoms to this problem (bent firewall tabs)? 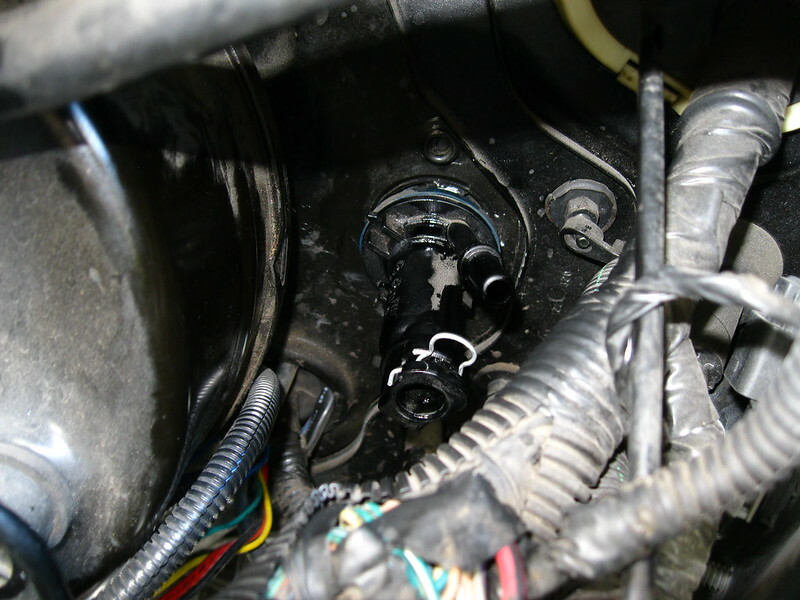 master cylinder ends up in the engine compartment and the clutch doesnt release. It will make you think you have a tob or clutch issue. If you start the car in neutral you won't be able to get in to any gears. You can only get it in to that gear if you start it in that gear. If you start it in first it will start trying to drive forward even with the clutch all the way down. Pedal will start to feel like it has a little play in it. Mine stopped me before it went this far thankfully. But yes, this as well lol. Good info to know. Literally. Thank you ! I was driving the other night and went to stop at a light and attempted to disengage clutch and the pedal depressed a bit and went rock hard, and would not disengage clutch. I can change gears with car off but wants to move drive while starting even with pedal as far down as possible. 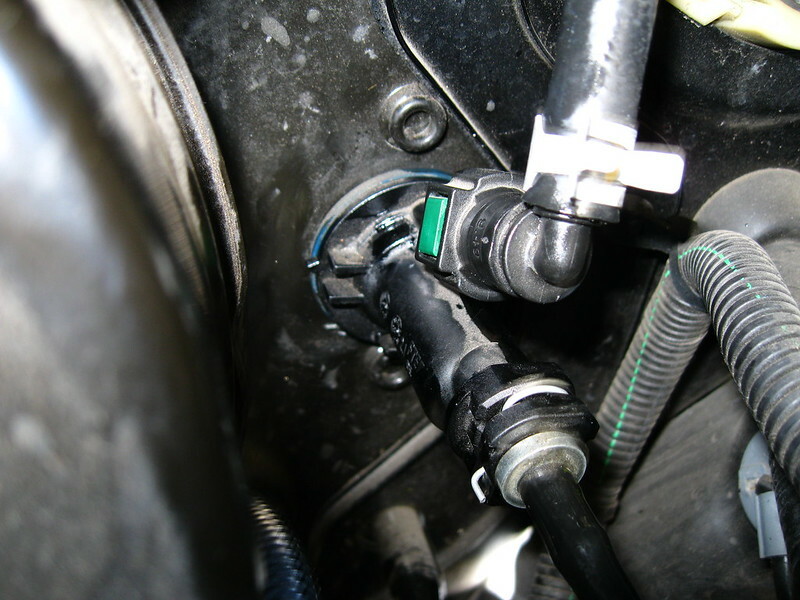 Is this symptoms of a bad Clutch Master Cylinder I have it removed now and I have no idea what i'm looking for to tell if its bad. That was one of the symptoms of mine, minus it being rock hard. I couldn't get it in to gear unless I started the car in that gear. And once started, even with the clutch pedal depressed, it wanted to move forward. 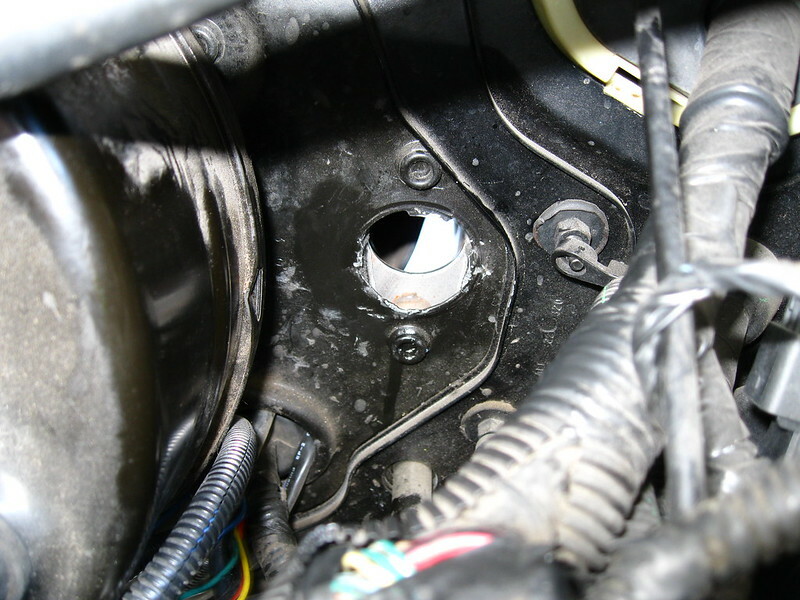 I know this is a old thread but has anyone had problems of not being able to lock the knew clutch master cylinder into the fire wall all the way in? I replaced mine last week end and drove it for 3 days and it felt great no problems. So last night I got home after a 10 mile trip and pull in front of my drive way push the clutch in and the clutch master cylinder popped out of the fire wall. Luckily I was right in front of my house. I checked the four tabs that hold it in and none of the them were bent out. I reinstalled the clutch master cylinder and turned as far as could my hand. I am wondering if there is a special tool to turn this into the fire wall? I don't want to use channel locks cause it will damage the plastic. Is this the same for the TC LNF?? did u get the master cylinder out? 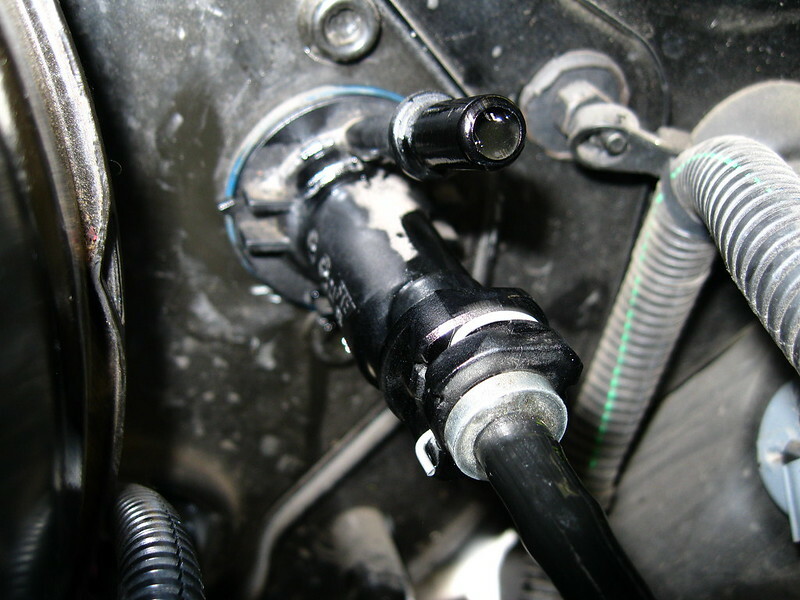 I have a 2007 chevy cobalt and I'm having the same problem getting my clutch master cylinder out. It wont turn at all so i can't get it out to replace it. Did u get yours out?